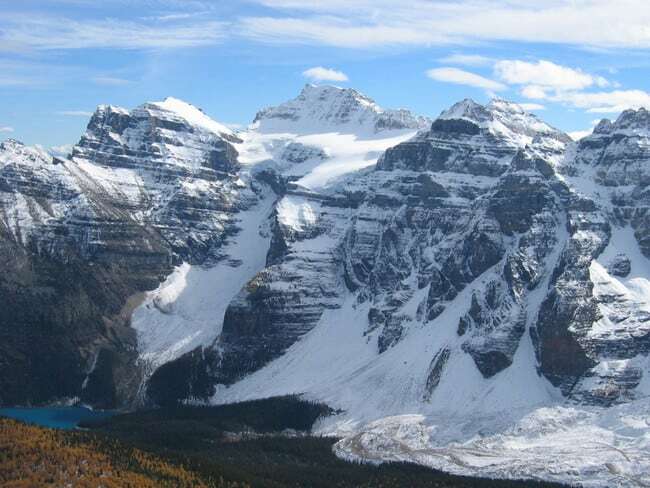 Have you ever dreamt of climbing the high peaks in and around Banff, Lake Louise and the Columbia ice fields? There are so many classic Rockies high points with a variety of routes to choose from but the complexity may be overwhelming. 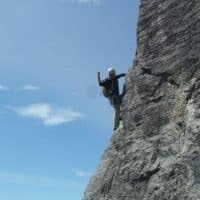 The Banff Alpine Skills week is designed to get you from basic hiking and scrambling skills to confidant alpinist skills which will allow you to explore further and higher than you may have imagined. The BAS week will cover many facets of alpine climbing in a safe organized and easy to understand approach. 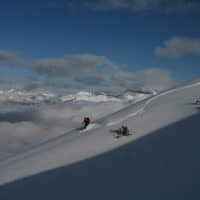 The group will spend time on rock, snow & ice terrain to round out the skill set, the Alpine Air guides have years and years of mountain experience to share with you. 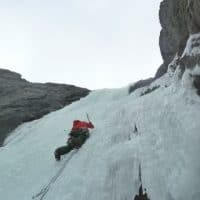 Over 7 days the group will begin, the course at the Columbia Ice fields where snow and ice climbing and crevasse rescue skills will be taught along with a summit attempt of Mt Athabasca. Following the snow and ice portion, the group will then make their way to Lake Louise for a comprehensive rock school. The following 3 days will be spent single pitch and alpine rock climbing. Alpine rock locations will vary to suit the group’s abilities. Accommodations will be at the Hilda hostel, Lake Louise hostel and the castle hut if needed.